Five nights a week, George R. Noory, the host of America's top late-night radio talk show, Coast to Coast AM, talks to his audience of more than 10 million listeners about unlocking the secrets to their unlimited growth and boundless potential. He teaches people to transcend their fears and doubts, to shatter the prison bars of their five senses and become more than they ever thought they could be. Now Noory has woven his life's work into both an amazing memoir and a miraculous key that you can use to unlock the secret to your own sensual transcendence and liberate your own limitless potential. 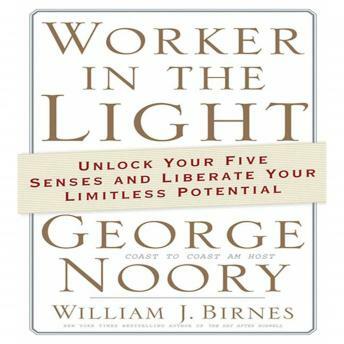 Noory tells listeners how he surpassed his own limitations and frustrations, freed himself from doubts and fears, and found the right way out of life's desperate straits. Through easily understood, step-by-step instructions he will explain to listeners how they too can overcome fear and doubt and find happiness and success. By the end of this audiobook, you will no longer flounder in the darkness, you will no longer be alone, you too will be a worker in the light.